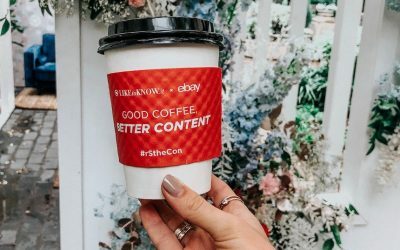 This was our second (Brooke) and third (Meggan) year attending the RewardStyle conference (aka #rStheCon) so we wanted to give you the lowdown on it! 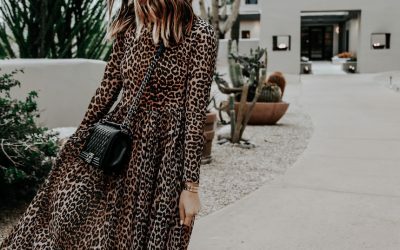 The RewardStyle Conference is an annual conference focused on continued education for growing brands and influencers. It’s an opportunity to reestablish your business strategy, meet brand leaders, and network with other influencers and brands. And they throw fun parties where we consumed too much wine 😉 Over 17 countries were represented at the conference this year – so amazing right?! 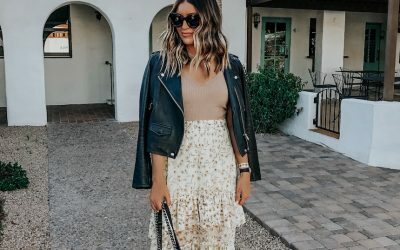 RewardStyle influencers alone (obviously there are tons more not even affiliated with RS) drove over $1B in online sales last year, which is pretty crazy and inspiring to hear. When people ask us if there is still a chance to “make it” in this industry we say absolutely and here’s why! 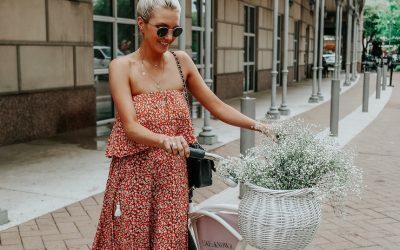 The Association for National Advertisers expects spend on influencer marketing to rise to more than $100 billion in 2020. How many people get invited each year? The top 200 RewardStyle publishers are invited annually. Can anyone go to the conference or do you need an invite? What were the sessions/classes about? You select which classes/breakout sessions you’re interested in and want to attend. This year we did All About SEO, Building A Household Name/Brand, How to Build a Team and What to Do Next, and LIKEtoKNOW.it Deep Dive. It’s basically continued education/new information/new technology covering everything we need to know for our business. Do you meet with brands? Yes – there are a lot of brands/reps there that we have the opportunity to meet and have scheduled meetings with. It’s a great way to get face time with big brands, especially when we are there together! I heard it’s expensive to attend, is this true? RS covers the cost for some attendees, but it can definitely be an expensive weekend! Cost of ticket, flights, hotel room, dinners out, outfits, etc can add up just like any trip! Is it difficult being with all your competition or do you all give each other tips/advice? For us, no. And it doesn’t really feel like “competition,” but we can’t speak for everyone obviously. Most of the girls are super supportive of one another which is (maybe?) surprising to hear! It’s probably because we all understand everything that goes into this industry, and it’s fun to be around other people doing the same thing you can totally relate to! Best thing about the conference? Obviously being together! But also meeting new friends, meeting with brands, and learning things to take our careers to the next level. It’s great meeting brands we’ve worked with and putting a face to the name! Also, just that “reset” feeling – we always leaving feeling motivated and inspired. Who was your favorite blogger that you’ve never met? We finally got to meet so many girls we’ve been following forever and chat with a lot on insta! We are definitely going to be missing a few but some we met for the first time – Kathleen Barnes, Ashley Torres, Courtney Shields, Emily from Two Peas (we met Ash last year), Lauren Sims, and Liz Joy. We also got to spend time with a lot of girls we love and had previously met! How much do you gain from many years of attending? Is it about new connections? The thing about going year after year is that technology is always changing, so we are always learning new things in that arena. Also, the RewardStyle team is uber smart – they have definitely hired the most talented people in every single space from tech to leadership. It’s very impressive to hear from them about what they are doing internally as a company. Making new connections is great, but for us it’s about learning. Definitely not! We aren’t sure of the exact age range, but if we had to guess it would be early 20’s – 60’s. The majority are probably in their 20’s and 30’s, but there are all ages. Are the other bloggers nice? Most are, yes! It doesn’t feel as competitive/catty as you may think! Most girls are very nice…to your face at least lol. Yes. But not necessarily in a bad way. Imagine 200 women in the same room – not everyone is going to be the exact same/have the same interests even though we are all in the same industry. Is it intimidating to be around all the bloggers/do you compare yourself to others? It can be intimidating if you’re going in alone because like we just mentioned, it can be clique-y and if you don’t know anyone it can feel awkward to walk up and introduce yourself. On the other hand, once you do, most girls are super kind, so you just have to break out of your shy shell for a minute and practice your networking skills! This is a super interesting post! Being able to attend all These workshops and sessions Must Be amazing.